Law Web: Whether compromise effected by power of attorney holder beyond scope of his authority is valid? Whether compromise effected by power of attorney holder beyond scope of his authority is valid? After hearing learned Senior Counsel/learned Counsel for the parties, we are of the opinion that a bare reading of the compromise indicates that the power of attorney was with respect to the agreement dated 16.11.1993 and not with respect to the agreement dated 26.06.1995 entered into with Rajbans Kaur. The High Court has not adverted to this aspect of the matter at all whether power of attorney holder has exceeded the authority in conferring certain rights in favour of Rajbans Kaur and whether there was any power with the power of attorney holder to confer the rights upon Rajbans Kaur. The said material aspect was required to be gone into by the High Court, which has not been done. As 65% shares have been given to Rajbans Kaur, the High Court should have examined whether the power of attorney holder had the authority to do so or had the authority to only deal with respect to the agreement dated 16.11.1993. Sukhpal Singh Vs. Jaswinder Kaur and Ors. 1. Leave granted. These appeals are preferred assailing the order dated 23.11.2009 passed in Regular Second Appeal No. 4264 of 2009, by the High Court for the State of Punjab and Haryana and rejection of Civil (Misc.) Application No. 5584-C of 2010, which was filed for recalling the said order. 2. A suit for specific performance was filed by the Plaintiff (Appellant) on the basis of agreement to sell dated 16.11.1993 entered into by the Plaintiff with Respondent Nos. 1 to 4. Later on, another agreement to sell dated 26.06.1995 was entered into and a sum of` 2,00,000/- (Rupees Two Lakh only) was paid. It was between the Appellant and Rajbans Kaur, who is the sister-in-law of Rana Ranjit Singh, in whose favour the Appellant had executed a power of attorney dated 22.06.1995 The trial court dismissed the civil suit. The first appellate court allowed the appeal and set aside the judgment and decree of the trial court. Respondent Nos. 1 to 4 filed second appeal being No. 4264 of 2009. On 16.11.2009, a compromise was entered into between the attorney of the Appellant and the Respondent Nos. 1 to 4 and Rajbans Kaur (purchaser). The said compromise was not brought to the notice of the Appellant. In the said compromise, the attorney of the Appellant had agreed to transfer 65% of the share of the Appellant in favour of Rajbans Kaur. It is pertinent to note that she was not a party to the suit or in appeal. The appeal was filed belatedly before the High Court. The High Court, without condoning the delay, had recorded the compromise and set aside the decree passed by the first appellate court. Thereafter, when the Appellant came to know about the fraudulent acts of the power of attorney holder, he cancelled the power of attorney dated 22.06.1995. Immediately thereafter, an application for recalling the order dated 23.11.2009 was filed stating that the power of attorney holder had entered into the compromise exceeding his power and the compromise recorded be recalled. The application for recall having been dismissed, the Appellant approached this Court. That Smt. Jaswinder Kaur Bajaj, Ms. Jaskirat Kaur Bajaj, Mrs. Gurdip Kaur and Mr. Simran Jeet Singh Bajaj (hereinafter all collectively referred to as the 'Appellants') and Sh. Sukhpal Singh, son of Sh. Sukhjinder Singh (hereinafter referred to as the 'Respondent') had entered into an Agreement to Sell dated 16.11.1993 for the sale of Kothi No. 253, Sector 9, Chandigarh. That Sh. Sukhpal Singh son of Sh. Sukhjinder Singh had further entered into an Agreement to Sell 26.6.1995 with Smt. Rajbans Kaur, wife of Rana Gurjit Singh, (hereinafter referred to as the 'Purchaser') whereby Sh. Sukhpal Singh had inter-alia sold all his rights and title in Kothi No. 253, Sector 9, Chandigarh and had nominated the Purchaser, Smt. Rajbans Kaur, wife of Rana Gurjit Singh, to get the Sale Deed pertaining to Kothi No. 253, Sector 9, Chandigarh executed in her name from the Appellants. That further in order to give effect to the Agreement to sell dated 26.6.1995, Sh. Sukhpal Singh had also executed a Registered General Power of Attorney dated 22.6.1995 in favour of Rana Ranit Singh inter-alia authorizing him to execute in his name and on behalf of deed of sale of Kothi No. 253, Sector 9, Chandigarh. That however, disputes had arisen between the Appellants and the Respondent upon which a judgment and decree has been passed by the Court of the Ld. Additional District Judge, Chandigarh in C.A. No. 69 of 2003 on 16.9.2006, which is under challenge before the Hon'ble Punjab and Haryana High Court in R.S.A. No. 4264 of 2009. 1. This consent terms shall supersede all previous arrangements or settlements (if any) arrived at between the Appellants and the Respondent in respect of the suit property. 2. The parties hereto agree that the Appellants and the Respondent shall be entitled to the said suit property as co-owners. The Appellants herein shall be entitled to 35% undivided share, right, title and interest in the said suit property and the Respondent hereto shall be entitled to 65% undivided share, right, title and interest in the said suit property. Further still, in consonance with the Agreement to Sell dated 26.6.1995, the 65% share of the Respondent, Sh. Sukhpal Singh Khaira, will further stand transferred in the name of the purchaser, who shall be the absolute owner thereof. It is also agreed between the Appellants and the Respondent that the Appellants herein shall not be entitled to the refund of any amount advanced by the Respondent to them, if any, in respect of the suit property, prior to these consent terms. 3. That the Execution No. 707/2006 pending in the Court of Ms. Paramjit Kaur, Civil Judge (J.D. ), which has been filed by the Respondent, through his duly constituted attorney, Rana Ranjit Singh, shall be withdrawn by the Respondent. Further, the amount of ` 43 lakhs, which has been deposited by the Respondent, through his duly constituted attorney, Rana Ranjit Singh, in the Court of Ms. Paramjit Kaur, Civil Judge (J.D.) in case of Sukhpal Singh v. Jaswinder Kaur shall be returned to Sh. Rana Ranjit Singh, son of Sh. Rana Daljit Singh, resident of H. No. 53, Sector 4, Chandigarh." Be it known to all that I, Sukhpal Singh son of Shri Sukhjinder Singh, aged 30 years, resident of Kothi No. 6, Sector 5, Chandigarh, hereby appoint Rana Ranjit Singh, son of Rana Daljit Singh resident of Kothi No. 53, Sector 4, Chandigarh, as my attorney to act in my name and on my behalf and do all or any of the acts or things hereinafter mentioned or execute any document or deed in respect matter in regard to House No. 253, Sector 9, Chandigarh. 1. To Institute a suit on my behalf and in my name against Smt. Jaswinder Kaur, Smt. Gurdip Kaur, Miss Jaskirat Kaur and Sh. Simrjit Singh for specific performance for sale vide agreement to sell dated 16.11.1993 and for this purpose, he is further authorized to engage counsel, execute or attest plaint/petitions, appeals or other documents, appear in the Court and give evidence, swear to affidavit and to compromise, witness or accept service or defend, in the suit or other proceedings that may be filed against me, or with respect to the purchase of property and to prosecute the claim, or defence in the court of appeal, or origin or before any officer whether in Civil, Criminal revenue courts or office or before the Income Tax Authorities. 2. And I do hereby agree to confirm and ratify all or every act or thing done by my said attorney within the scope of authority hereby conferred on him, and all the deeds or documents executed by him in my name or on my behalf under this Power of Attorney shall be binding on me as if the same were executed by me. 5. It was submitted by learned Counsel appearing for the Appellant that the authority was given to the power of attorney holder only with respect to the agreement dated 16.11.1993 and not with respect to the agreement dated 26.06.1995. It was given specifically to file and contest the suit against Smt. Jaswinder Kaur, Smt. Gurdip Kaur, Miss Jaskirat Kaur and Sh. Simrjit Singh for specific performance for sale entered into vide agreement to sell dated 16.11.1993. 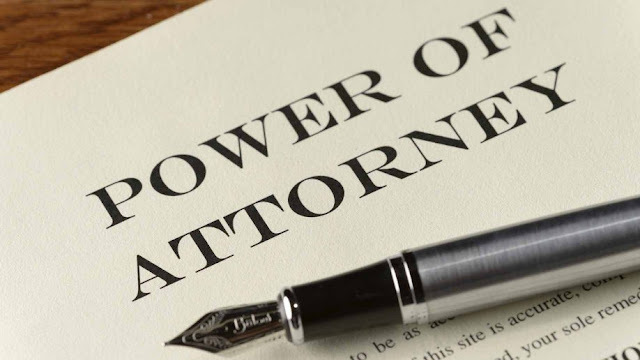 However, the power of attorney holder has exceeded the authority by going beyond the agreement dated 16.11.1993, that too, without any instructions from the Plaintiff (Appellant). 6. After hearing learned Senior Counsel/learned Counsel for the parties, we are of the opinion that a bare reading of the compromise indicates that the power of attorney was with respect to the agreement dated 16.11.1993 and not with respect to the agreement dated 26.06.1995 entered into with Rajbans Kaur. The High Court has not adverted to this aspect of the matter at all whether power of attorney holder has exceeded the authority in conferring certain rights in favour of Rajbans Kaur and whether there was any power with the power of attorney holder to confer the rights upon Rajbans Kaur. The said material aspect was required to be gone into by the High Court, which has not been done. As 65% shares have been given to Rajbans Kaur, the High Court should have examined whether the power of attorney holder had the authority to do so or had the authority to only deal with respect to the agreement dated 16.11.1993. 7. It also appears that the appeal before the High Court was time barred. It is submitted that the delay had not been condoned by the High Court. If that be so, no order on compromise petition could have been passed. The High Court is required to deal with question of limitation first. In case delay is condoned, the High Court to proceed in accordance with law and to consider the compromise petition afresh. 8. Having regard to the facts and circumstances of the case, the material available on record and the rival legal submissions, we set aside the impugned judgment and order and the order passed on recall application and remand the matters back to the High Court with a request to reconsider the claim(s) and counter claim(s) as to the legality and validity of compromise and to proceed in accordance with law. 9. The appeals are allowed in the aforesaid terms. No order as to costs. Pending application(s), if any, stand(s) disposed of.